This section of the window is a list of all of the running processes that are using CPU resources. 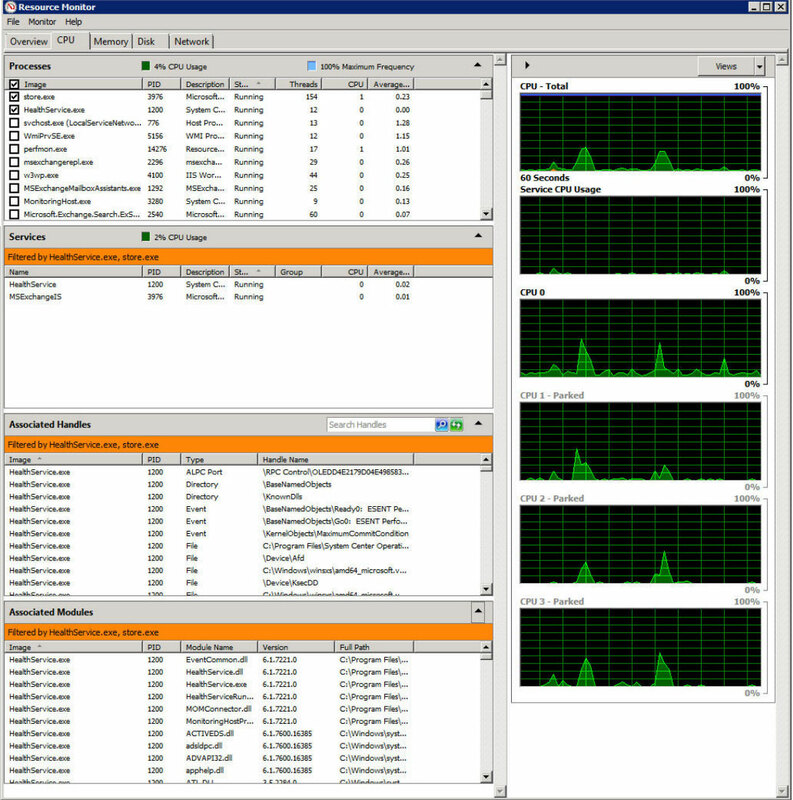 You are shown the name of the executable and a number of performance statistics. • Name. Process executable file name. This is the name of the process that is consuming CPU resources. • Description. A short description that details the purpose of the process. • Status. Process execution status. The process might be running, as most are, or might be listed as terminated if it's not running anymore. • Threads. Number of active threads. A thread is a single processing instance. • CPU. Current percent of CPU consumption by the process, or how much of the system's processing power is being devoted to this specific process. • Average CPU. This is average CPU consumption by the process over the past 60 seconds. This gives you a real-time look at what is happening on the system right now and for the past minute.